Handkerchief There are 45 products. Blue scarf with white dots, 100% cotton, 54 X 54 cm, washable 30 to 60 degrees Celsius. Diameter white dots : 9 mm. 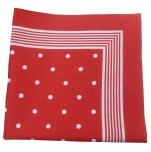 Red scarf with white dots, 100% cotton, 54 X 54 cm, washable 30 to 60 degrees Celsius. Diameter white dots : 9 mm. 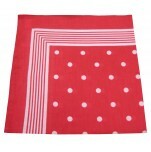 Red scarf with white dots, 100% cotton, 60 X 60 cm, washable 30 to 60 degrees Celsius. Diameter white dots : 11 mm. 6 Ladies handkerchiefs, 32x32 cm, 100% cotton, simply hemmed. 2 blue and white Ladies handkerchiefs with blue and white satins lines, 2 pink and white Ladies handkerchiefs with pink and white satins lines, and 2 green and white Ladies handkerchiefs with green and white satins lines. Price for 1 pack of 6 handkerchiefs. 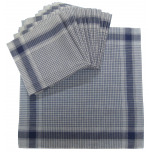 6 Mens handkerchiefs, 45x45 cm, 100% cotton, simply hemmed. 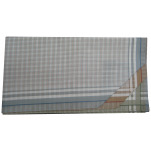 2 brown, white, burgundy and gray Mens handkerchiefs, 2 gray, white, blue and burgundy Mens handkerchiefs, and 2 beige, white, green, yellow and gray Mens handkerchiefs. Price for 1 pack of 6 handkerchiefs. 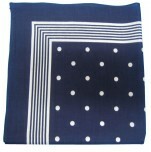 Work handkerchiefs, 50x50 cm, navy blue and white, 100% cotton. Price for 1 pack of 12 handkerchiefs. 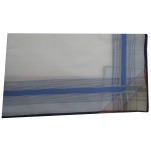 Work handkerchiefs, 40x40 cm, blue and white, 100% cotton. Price for 1 pack of 12 handkerchiefs. 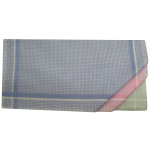 6 Ladies handkerchiefs, 32x32 cm, 100% cotton, simply hemmed, square bottom. 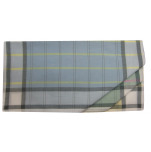 2 blue Ladies handkerchiefs with gray, white and yellow lines, 2 green Ladies handkerchiefs with gray, white and pink lines, and 2 yellow Ladies handkerchiefs with gray, white and green lines. Price for 1 pack of 6 handkerchiefs. 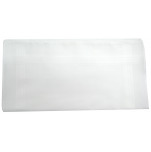 6 white Ladies handkerchiefs, 30x30 cm, simply hemmed, 100% cotton. The bottom is white with 4 white satin lines. Price for 1 pack of 6 handkerchiefs. 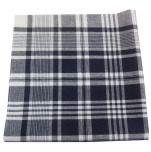 6 Mens handkerchiefs, 44x44 cm, 100% cotton, simply hemmed, white background. 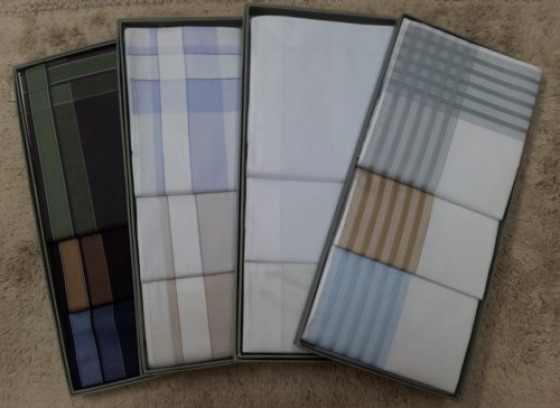 2 white Mens handkerchiefs with white, light, medium and dark blue satins lines, 2 white Mens handkerchiefs with white, turquoise and burgundy satins lines, and 2 white Mens handkerchiefs with white, beige, light and dark brown satins lines. Price for 1 pack of 6 handkerchiefs. Pocket handkerchief Kreier, red roses, 100% cotton, white, printed, 35x35 cm, satin edge and handrolled. Pocket handkerchief Kreier, bird feathers, 100% cotton, white, printed, 33x33 cm handrolled. Color bird feathers: white, red, yellow, green, blue, purple, orange, black and brown.